Vitamin C acts as a potent antioxidant, potentially combating free radical damage & inflammation in the body whilst supporting immune function and healthy ageing. With our breakthrough Micelle Liposomal delivery technology, you can now enjoy up to 140x Vitamin C absorption. Vitamin C is an essential, water-soluble micronutrient. A key marker of all around wellness, it supports numerous important bodily processes – including cell repair and protection, immune system regulation, joint function and detoxification. PuraThrive™ Radiant C uses the very best nutrient delivery technology available today. Our breakthrough Micelle Liposomal delivery method protects the fragile Vitamin C molecules from breakdown in the digestive tract, providing a powerful serving right where you need it. Just 10% of People Eat The Recommended Daily Serving of Fruits & Vegetables. That means you could be missing out on a whole range of micronutrients, including the all important, inflammation-battling powerhouse – Vitamin C.
And if you’re a college student, smoker, or older adult – you may be at an even higher risk of experiencing sub-optimal levels. Why is this an issue? Intravenous Vitamin C delivery is another option, but it’s often painful, inconvenient to arrange an appointment, and very expensive if you want ongoing support (usually costing hundreds of dollars per treatment). After intensive research and experimentation, the result was Radiant C – a carefully crafted Vitamin C supplement designed with maximum absorption and potency in mind. Unlike many traditional Vitamin C products, we use an all-natural, highly bioavailable, fermented and buffered form of L-Ascorbic acid that’s easier for your body to digest. To top things off, our breakthrough Micelle Liposomal delivery method has been clinically proven to protect the Vitamin C molecules from breakdown in the digestive tract and deliver up to 140x absorption – giving you more bang for your buck. A safe and effective extracting agent for producing the highest quality supplements available. Our proprietary process helps you get the most out of Vitamin C, giving you more for your money. A fat-soluble vitamin that acts as another powerful antioxidant. It helps to neutralize free radical damage and may protect the body even further against environmental toxins. Our Radiant C formula is crafted inside an FDA Certified, GMP compliant lab in the USA. 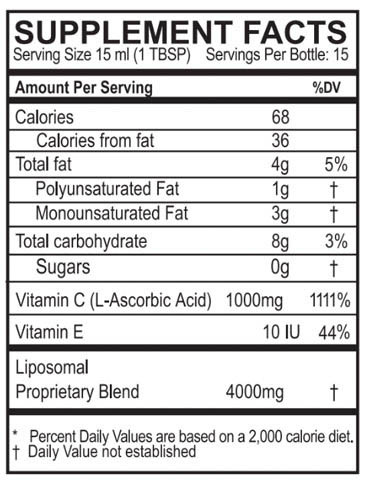 The product is rigorously tested and is Heavy Metal Free / Prop 65 Compliant, Gluten Free and Non-GMO. Crafting high quality supplements is what we live for. PuraThrive’s innovative new Vitamin C supplement, Radiant C, is an affordable and highly effective product that is perfect for people who want to ensure that they get the vitamin c that they need to maintain a healthy lifestyle. Radiant C has gone through rigorous clinical testing and was specifically designed by PuraThrive’s team of experts to be as easy to absorb and as potent as possible, making it one of the finest Vitamin C supplements available on the market today. It is made using an all-natural and bioavailable form of L-ascorbic acid that is easier for the body to digest and does not contain manmade chemicals that have the potential to damage your body. This makes Radiant C ideal for people who want to treat their body as a temple and want to be sure that everything that they put into it is completely natural. Radiant C also uses PuraThrive’s ingenious Micelle Liposomal delivery system, which protects the precious Vitamin C molecules from being broken down quickly in your digestive system – allowing the supplement to be more effective for longer and ensuring that your body gets that crucial vitamin c boost when it is needed. Lab studies have demonstrated that the Micelle Liposomal delivery method, offers up to 140-times better absorption than traditional methods – a staggering number that really makes Radiant C stand out from the ‘vitamin c supplement crowd’. The benefits of vitamin c to the body are well known with studies showing that it helps – repair and protect the body’s cells, improve the body’s skin, bones, joints, hair and blood vessels, improve immune system function, detoxify cells and other things within the body and help to prevent free radicals that can lead to cancer and other unwelcome problems. Put simply, vitamin c is absolutely vital to a healthy diet and not getting enough of it can lead to health problems. If you are looking for a vitamin c supplement, then Radiant C, stands head and shoulders above the rest – offering the correct daily dosage of vitamin c, in a supplement that is easier to absorb than its market competitors. So, don’t delay, try Radiant C today and see just how much better it is than your current Vitamin C supplement. 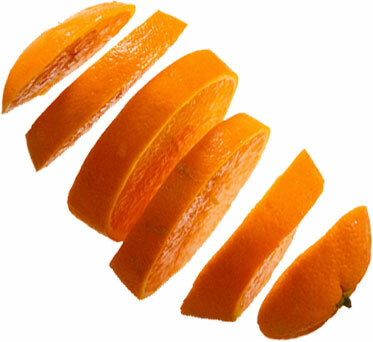 Vitamin C – Radiant C uses an all-natural and highly bioavailable form of L-Ascorbic acid, which is pure vitamin c and is most commonly found in things such as oranges. The ‘L’ in the name refers to the way that the molecule rotates itself in the direction of light. Ascorbic acid has been linked to things such as – the maintenance and protection of healthy cells, immune system function, keeping our skin, hair, blood vessels and bones healthy and detoxifying things within our body (NHS, 2017). – Organic Glycerin Extract – A safe and organic extraction agent that is used with many of the finest supplements on the market. It helps your body maximise the vitamin c, ensuring that you get excellent value for money. – Citrus & Vanilla Oil – Simple organically derived oils with nothing added give Radiant C a fragrant and sweet taste, without compromising its principles by adding artificial colours of flavours. The human body is a complex organism with simple needs, luckily, it only requires a few basic proteins, vitamins, minerals and chemicals to keep it in good condition. However, this also means that not getting enough of one of these vital things that make our body work has the potential to have either minor or major health consequences. Vitamin C is one of those magical chemicals that help our bodies to function well and is vital to things such as – the maintenance and protection of healthy cells, immune system function, keeping our skin, hair, blood vessels and bones healthy and detoxifying things within our body (NHS, 2017). Not getting the right daily amount can make those processes less efficient and eventually lead to serious conditions like scurvy. It is generally found in fruits and vegetables with citrus fruits being especially good sources of it. However, it is also a water-soluble molecule - the body only absorbs the amount that it needs at that particular moment and the rest leaves via urine, ensuring that we need a constant supply (U.S. National Library of Medicine , n.d.). This means that even the healthiest diets have the potential to lack the right amount of vitamin c at the right time, meaning that vitamin c supplements can facilitate a healthier body. However, many of them are too expensive and are digested too quickly – leading to the unwitting takers not getting the correct amount. Radiant C is a water-soluble Vitamin C supplement that is created in PuraThrive’s FDA certified, GMP compliant lab. It uses PuraThrive’s innovative Micelle Liposomal delivery method, which protects the precious vitamin molecules, while they are in your digestive tract – leading to up to 140-times better absorption (Science Direct , n.d.). Vitamin C is digested within the intestine and studies have shown that oxidized vitamin c enters cells via facilitated glucose transporters, before being reduced to ascorbic acid (national institute of health office of dietary supplements, n.d.). As an Antioxidant – Vitamin C is a powerful antioxidant that has the potential to significantly reduce the number of free radicals in your body. What is an antioxidant? – Most natural organisms are like us – they need oxygen to function, thus the vast majority of the things that have the potential to damage your body require oxygen to function. By removing this oxygen supply from them, Vitamin C, decreases the chance of these ‘Free Radicals’ causing things such as – premature ageing, damage to DNA and chronic diseases like heart disease, diabetes and some cancers (Oregan State Univeristy , n.d.). What is collagen – Collagen is the most common and abundant protein in the body and is used for a plethora of different processes, including hair growth, the maintenance of healthy skin, the repair of blood vessels and bone and cartilage repair and growth. Vitamin C is a crucial part of the body’s collagen making process (Vital Proteins, n.d.). Feel and look younger – The cell antioxidation and collagen producing functions that Vitamin C performs – mean that it can help delay the aging process. By helping us synthesise collagen, it has been shown to help with healthier, hair, skin and nail. While the fact that it helps to reduce the damage that oxygen can do to our cells will help you to battle the aging process. Enhanced Immune Function – Our immune systems are strongly impacted by the amount of nutrients our bodies have(Hahn, 2009). Vitamin C is important, and studies have shown that immune cells are negatively affected by Vitamin C deficiency (Hahn, 2009). While other studies have demonstrated that Vitamin c supplementation can dramatically improve immune function. This is especially relevant to the common cold – with meta studies showing that Vitamin C can decrease the chance of catching it and reduce its length and intensity (Hahn, 2009). Smokers – studies have shown that smokers generally have lower plasma and leukocyte levels of vitamin c. This is mainly due to increased oxidative stress on their body’s cells – the IOM recommends that smokers should take around 35mg more vitamin c than non-smokers – meaning that a supplement like Radiant C can be massively beneficial to both smokers and those who are at risk of passive smoking (U.S. National Library of Medicine , n.d.). Those with a limited diet – Fruits and vegetables are the best sources of vitamin c; however, it is also contained within many other food products. Thus, the less varied your diet, the more likely you are to not be getting the correct amount of Vitamin C (U.S. National Library of Medicine , n.d.). People with malabsorption and certain chronic diseases – Certain chronic diseases and genetic conditions may cause vitamin c deficits – meaning that people with such afflictions may need to supplement their daily vitamin c intake (U.S. National Library of Medicine , n.d.). Totally healthy people – Lack of vitamin c can affect anyone, because its water-soluble nature, means that it regularly leaves the body as waste. Even the healthiest of people may not get the ideal amount of vitamin c in their diets, meaning that they could potentially benefit from a supplement. Vitamin supplements are not new and have a proud history dating back to the 18th century -a time of voyage and discovery, when improvements in the ability of ships to travel long distances opened up a plethora of opportunities for trade and travel. However, these voyages were also notoriously dangerous with a vast array of different diseases that damaged sailor’s health. The most pernicious of these was scurvy – a seemingly inexplicable disease that causes symptoms such as: “fatigue, bleeding gums, joint pain, shortness of breath, slow-healing wounds and potentially-fatal heart problems” (NHS, n.d.). Medical knowledge at the time was limited, although we now know that it is caused by a lack of vitamin c in an individual’s diet. The problem was eventually solved by Dr. James Lind – who recommended that all ships carry limes or lemons on them: both excellent sources of Vitamin C. The health of British sailors at sea was vastly improved and the first ‘vitamin supplement’ was a resounding success. Fast forward to today and vitamin supplements have become a vital part of many people’s everyday lives – few individuals are at risk of developing scurvy, yet the more we discover about the human body, the more important healthy amounts of vitamin c appear to be. Radiant C is it for me? All the information contained within the above article is advisory and the benefits of vitamin supplements will vary from case to case. All science and medicine is provisional, representing our best picture of the world at the time and the information contained within this article should never be valued above medical advice from a qualified professional. An individual’s health needs are always complicated, and a one size fits all approach is always doomed to failure. However, PuraThrive’s Radiant C has been rigorously lab tested, ensuring that it will provide a healthy dose of vitamin c for a normal adult. It scores well compared to many of its competitor products and is an excellent choice for those who are already taking vitamin c supplements or those who feel that they need it. Hahn, S. &. (2009). Vitamin C and Immune Function . US National Library of Medicine National Institutes of Health - https://www.ncbi.nlm.nih.gov/pubmed/19263912.